This checked Parsley necktie in a skinny cut is the height of hip. 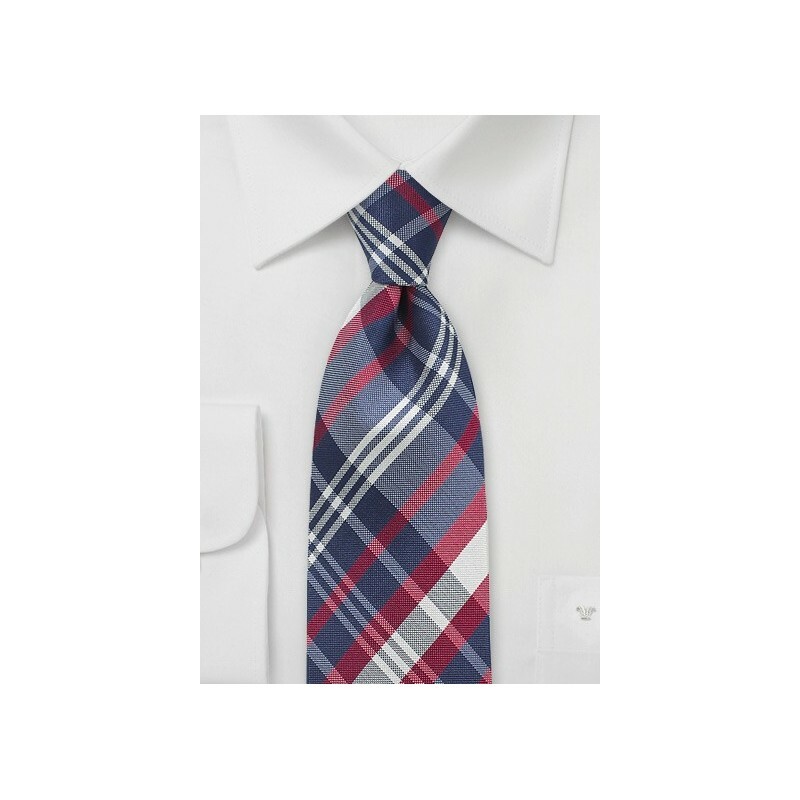 With a tartan checked pattern, this piece utilizes red, white, and navy blue threads to create an eye-catching accessory in the colors of the American flag. Handmade from pure Italian silk. 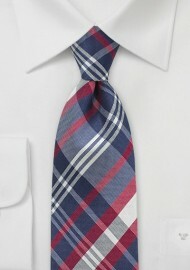 Create a stellar ensemble by wearing this tie with a white collared shirt and a trim navy blue suit. To really make a statement, complete the look with a red or ivory pocket square.